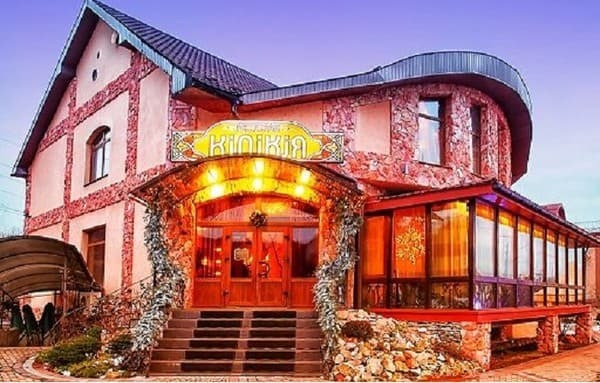 The hotel "Kilikia" is located in the micro district "Mine", 2.5 km from the center of Uzhhorod and 7 minutes drive from Uzhgorod Castle. Hotel "Cilicia" is a modern, new hotel with an exclusive interior in oriental style, high-quality service, friendly and attentive staff. 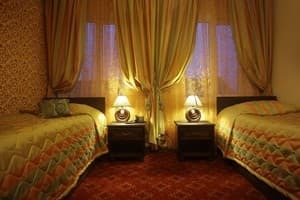 The services of the guests are 27 comfortable rooms of different categories. 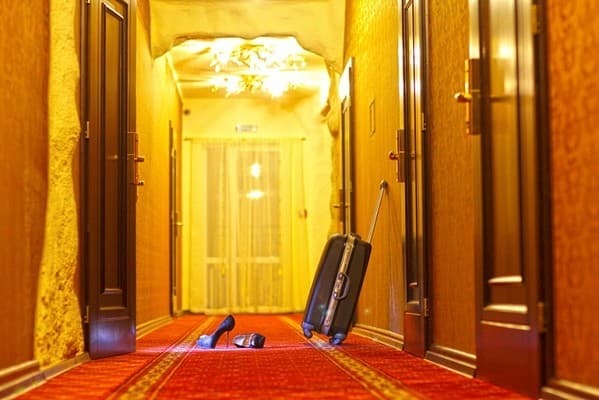 All rooms are equipped with air conditioning, wireless Internet access (Wi-Fi), LCD TVs, minibars and personal mini-safes. Also in the 4-storey building there is an elevator that will allow you to climb without problems to any floor of the hotel. 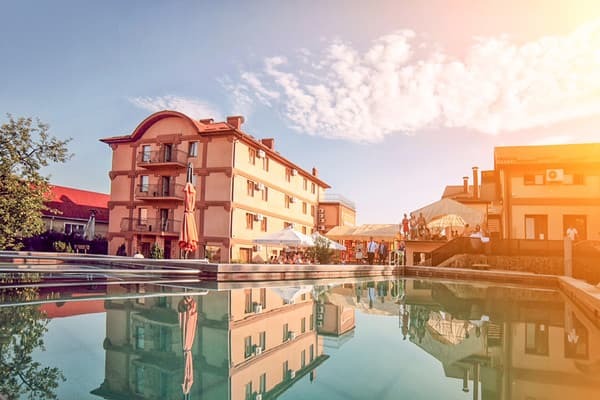 On the territory of the hotel "Cilicia" there is a spacious restaurant, where the customers are given a wide choice of dishes from the Ukrainian and Caucasian cuisine. The hotel is 4 km from the train station and 5 km from the airport. 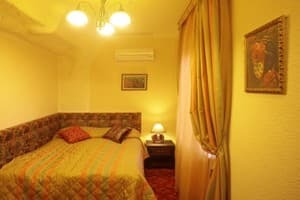 Description of the room: One room with an area of ​​12 square meters. with one large bed. The room is equipped with a fire alarm system and an electronic key system. In the room: bathroom with shower, hairdryer, LCD TV, air conditioning, telephone, desk, WI-FI. A bottle of drinking water is free on arrival. Description of the room: A spacious one-room apartment with an area of ​​15-18m2, the equipment of which meets all modern requirements. The room has one large or two single beds. In the room: bathroom with all necessary hygiene items, LCD TV, air conditioning, mini-bar (drinking water on arrival free of charge), safe, telephone, hairdryer, desk, WI-FI. The cost of additional space for adults is 120 UAH, for children (children's bed) - 80 UAH. 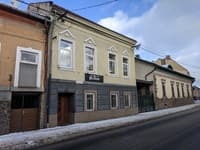 The hotel is located in the micro district of Mine Uzhgorod - 2.5 km from the city center, 4 km from the railway station, checkpoint "Uzhgorod" - 1.5 km. The first ski lifts - 80 km, Mount Krasia. 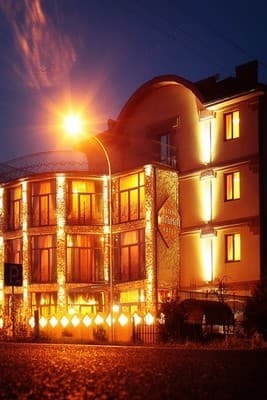 Hotel "Cilicia" is located in the city of Uzhhorod, 4 km from the railway station and 4 km from the airport.